Crop Bars are steel bars which are placed horizontally across each of the polytunnel hoops above head height. They can be used to support hanging baskets, canes, shade net, lighting, irrigation, and many other uses. 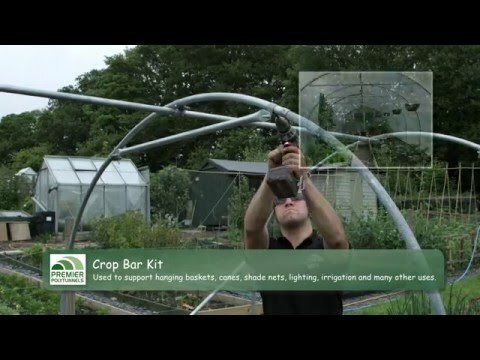 A further beneficial side effect of Crop Bars is added strength and stability to the polytunnel frame in extreme weather conditions, particularly on blustery and exposed sites. Crop Bars on polytunnels greater than 10ft wide have additional support up to the hoops or ridge. Crop Bars are made from Z35 high tensile galvanised steel.